Learn how to efficiently reorder your stripboard by using the bulk cut and paste feature. 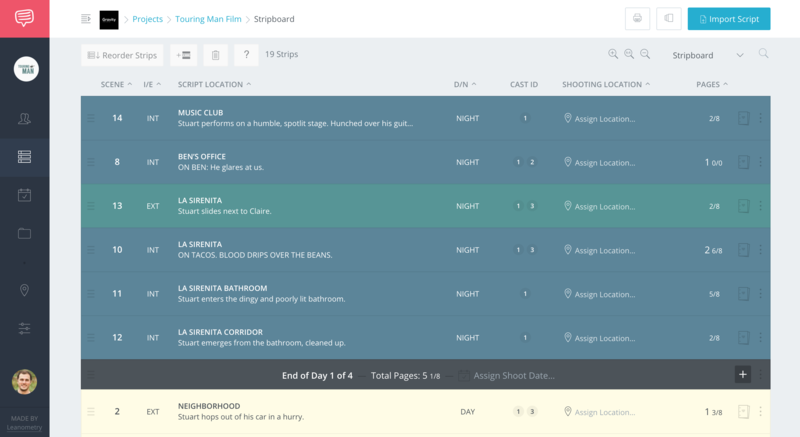 Are you looking for a way to drag and drop multiple scenes on your Shooting Schedule page? For example, let's say you want to reorder scenes without moving scene strips one by one. To move multiple scenes while reorganizing your shooting schedule, you can quickly get this done by using our stripboard hotkeys. On your Stripboard page, click and hold the Command (or Shift) key and then select multiple scenes. To cut these scenes, click Command + X (or Control + X on a PC) on your keyboard. After you've cut the scenes, you must now paste them. Click another scene in which your scenes will paste under. Next, click Command + V to paste your scenes. Are you highlighting and dragging scenes? Currently, if you're looking to drag multiple scenes around on your schedule, you must select them first, then follow the previous steps (Command + C and Command + V) to cut and paste.